Are you an RV owner? If you are, you may enjoy the freedom of being able to come and go as you please. Since you, as an RV owner, do have the freedom to come and go as you please, you may be interested in taking a last minute RV trip. If so, the following tips may be able to help you do so. One of the most important things to do for an RV trip involves mapping out your route. In all honesty, it doesn’t matter whether your trip is planned a few hours before you leave or a few weeks before, it is important to know where you will be going. Of course, you can be spontaneous along the way, like by taking a side trip, but having an intended route planned out is ideal for safety, security, and comfort. It can also help to prevent you from getting lost when you are unsure of your surroundings. Before heading out on a last minute RV trip, it is important to make all needed reservations. This is particularly important during peak motor home travel times, such as spring and summer. You will not want to assume that all RV parks and public campgrounds have available spots. This is particularly the case with public campgrounds, as many are already limited on the number of spaces they have that can accommodate motor homes. Once you have a destination in mind, you can quickly examine your options, in terms of RV parks or public campgrounds, online. Contact them and make reservations or at least see if they are needed. It is also important to let someone know that you are leaving. 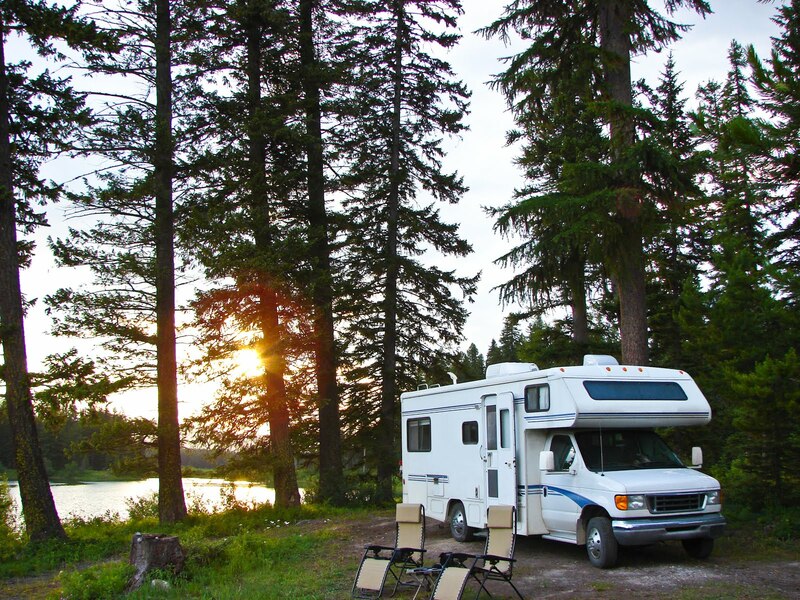 Although last minute RV trips are typically planned one or two days in advance, you may have the urge to take a last minute trip and leave within a few hours. When doing so, notifying friends or family members of your travels is probably the last thing on your mind, but it is still something that you should do. Let those that you know, especially those who will notice if you are gone, when you will be leaving, where your intended destination is, as well as when you can expect to return. It is also a wise idea to quickly create a checklist for yourself. Even if you intend to leave in a few hours, a checklist is an important preparation step when traveling by RV. A traveling by RV camping checklist does not have to take hours to make. Simply write down the items that you need to bring, such as food, clothing, and toiletries. Next, write down your wants, such as a Bluetooth speaker, a video game console, or movies. Then, check off the items as you pack them in your bags or place them in your RV. In keeping with making sure you have all needed supplies, do a quick run through of your RV at the last minute. This will help you determine if you are missing anything of great importance. For example, look at your sleeping areas. Do you have enough sheets and blankets? What about items to cook? Do you have the needed food, pots and pans, and eating utensils? Missing supplies are easier to notice when doing a quick walk through your RV. The above mentioned tips are just a few of the many that can help you prepare for a last minute RV trip. As nice as it is to be spontaneous and hop in your motor home and leave at the last minute, it is still important to be prepared. Proper preparation, even for last minute trips, is not only important for your safety, but for overall enjoyment as well.